Hawaii PUC Staff Proposes Performance-Based Regulation to Achieve State Energy Goals, Deliver Cost Savings to Customers. The Hawaii Public Utilities Commission approved an agreement that would transfer ownership of 120,000 utility poles from Hawaiian Telcom to Hawaiian Electric. The Hawaii Public Utilities Commission issued its Final Decision and Order approving Maui Electric Company, Inc.’s Power Purchase Agreement for Renewable As-Available Energy and Electric Services with Molokai New Energy Partners. The Hawaii Public Utilities Commission, in a 3-0 decision issued its Final Decision and Order approving a rate increase and revised rate schedules and rules for Hawaii Electric Light Company, Inc. (“HELCO”). In a 3-0 decision, the Hawaii Public Utilities Commission today issued its Final Decision and Order approving a rate decrease for Hawaiian Electric Company, Inc. In a 3-0 decision, the Hawaii Public Utilities Commission (“PUC” or “Commission”) today granted, subject to certain conditions imposed by the Commission, Hawaiian Telcom, Inc., Hawaiian Telcom Services Company, Inc., and Wavecom Solutions Corporation (collectively, “Hawaiian Telcom”) and Cincinnati Bell lnc.’s (“Cincinnati Bell”) (collectively, Hawaiian Telcom and Cincinnati Bell are referred to as the “Applicants”) Joint Application to Transfer Indirect Control of Hawaiian Telcom to Cincinnati Bell (the “Transfer of Control”). The Hawaii Public Utilities Commission (“PUC”) has opened a proceeding to investigate performance-based regulation for the Hawaiian Electric Companies. Performance-based regulation (“PBR”) includes a set of alternative regulatory mechanisms intended to focus utilities on performance and desired outcomes, such as increased renewable energy, lower cost, and improved customer service. The Public Utilities Commission has opened a new proceeding to investigate the impact of the recently signed Tax Cuts and Jobs Act of 2017 on regulated utilities in Hawaii. The Commission intends to ensure that Hawaii customers benefit from lower federal tax rates on their utility bills. In a Decision and Order issued today, the Hawai‘i Public Utilities Commission approved two new programs that will expand opportunities for customers to install rooftop solar and battery energy storage systems, while clarifying terms of existing programs to provide greater certainty for customers who have already invested in a rooftop photovoltaic (PV) system. Alan Oshima, President and CEO of Hawaiian Electric Company, responds to the October 2, 2017 letter from Chair Iwase regarding Pacific Current’s agreement to purchase the Hamakua Energy Partners’ power plant on Hawaii Island. 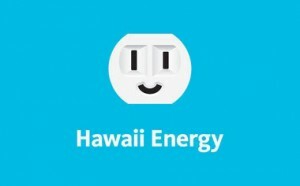 The Commission received a press release issued by Hawaiian Electric Industries, Inc. (“HEI”), dated September 20, 2017, stating that HEI has established a new subsidiary, Pacific Current, which has agreed to purchase the Hamakua Energy Partners (“HEP”) power plant on Hawaii Island, “for an undisclosed price.” The HEP power plant provides energy and capacity services to Hawaii Electric Light Co., Inc. (“HELCO”) under a power purchase agreement which is in effect and expires in 2030. In response to HEI’s recent announcement, the Commission, on October 2, 2017, issued written questions to HECO, to assist the Commission in determining whether the HEP power purchase agreement between HELCO and its affiliate Pacific Current is in furtherance of the public interest. February 2, 2017 – The Hawai’i Public Utilities Commission’s (“PUC”) reminds the public that its enforcement officers continue to be on the road at unannounced times statewide to ensure that motor carriers are in compliance with state laws and rules. 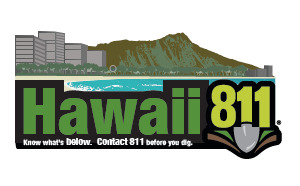 High-traffic tourist attraction areas such as Kailua, Oahu and Hana, Maui are among the patrolled areas. The Hawaii Public Utilities Commission (PUC) announced four major decisions and orders that collectively provide key policy, resource planning, and operational directives to the Hawaiian Electric Companies (HECO Companies). Recent additions to the Resource Library. Go to the Resource Library for all resources. 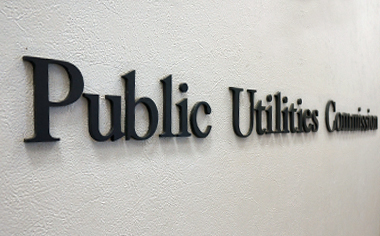 Stay connected with the Public Utilities Commission by subscribing to email notifications of Commission proceedings. The One Call Center system will provide advanced warning to excavators of the location of underground lines before they begin digging.